We have all seen those glamorous hair commercials with beautiful models telling us how to fix dry hair with the product they are advertising. However, many of these products do not provide users with real, permanent results. Most of them leave your hair unevenly conditioned or oily or even stinky. If you are struggling with dryness, breakage, brittleness or just want smoother strands, then you need to read on to find out the proven homemade natural tips for dry hair. However, it is worth mentioning that before you get to know those tips, you should understand what dry hair is and what causes that condition. Hair, which does not have enough moisture to maintain the normal shin and texture, is termed as dry hair. In fact, hair is made up of three layers. The outer layer is meant to protect the inner layers. When the outer layer is damaged, it will lead to dry and dull hair. Hair follicles are connected to sebaceous glands, which discharge oil on the hair shaft. And, it is believed that the person who has dry skin might also have a problem of dry hair. Hair will become dry when the natural oil from follicle is eliminated during activities, such as sunbathing, swimming in chlorinated water, overuse of hair dryers, and other styling products. Men and women of any age could develop this problem. So, now you have learnt basic information about dry hair. It is the time for you to learn about the natural tips for dry hair. Take a look from VKool.com! Your hair does not need to be washed every night and for those of us who need to fix dry hair fast, washing could exacerbate the dryness issue further. If you could not stand the idea of an unwashed head, then simply condition hair and scrub the head as if you are washing it. Leave out the shampoo step, rinse as regular. This will help invigorate the nerves in the scalp, and make you feel as if you have just washed your hair really without drying it with shampoo. To get the proper result, conditioning should be done every day, yet washing should be done every other night or every two nights if you could bear it. Brushing the hair might feel good, yet the old saying that we need to brush it 100 times per day to make it healthy is not true. What you should do is to finger comb the hair for preventing breakage from brushes. That way, you can help distribute the natural oils from the scalp, down to the hair shafts so you will be able to create the natural moisture treatment with your own hands. Remember, this is particularly important. Hair spray is silky hair’s arch enemy. Mousses and gels are also filled with the ingredients which might dry out the hair further. The human hair does not need hairspray to stay in place or to make it pretty. What it really needs is some serious conditioning. Thus, you should try to use 2 kinds of conditioner in the shower, one being your regular conditioner to compliment normal shampooing, and one being a heavier and thicker conditioning hair mask treatment in the shower. Then, rinse your hair off with water and dry as usual. To heal the dry hair, you can pour some unboiled hair into a bowl. Then, soak a cotton ball in that milk before applying it directly on the scalp and hair. Wait for about 1 hour and wash the hair thoroughly. Sesame oil is great nourishing oil which is rich in vitamins and mineral, helping in strengthening hair and increasing blood circulation in the human scalp. Simply mix 1 tablespoon of each of lemon juice, root juice, and sesame oil. Then, apply the mixture onto the scalp and hair before wrapping the head with a hot towel. Wait for 1 hour before rinsing it off with shampoo. In order to treat dry hair, apple cider vinegar is so effective. Instead of using expensive shampoos for hair, a simple pack or massage of apple cider vinegar works better. All you need to do is to take out some apple cider vinegar in one bowl. After that, use a cotton ball to apply it on the hair and scalp. Wait for 10 minutes or so and rinse the hair off with water. Also, you could use the diluted apple cider vinegar which is mixed with warm water in the equal proportion. Then, apply it after you shampoo the hair. That way, it can work as a natural conditioner and will help in managing the hair properly. This is considered as one of the most well-know tips for dry hair. Egg yolk can work as a natural conditioner and moisturizer for dry hair. Then, mix two eggs with a half cup of olive oil. Next, stir that mixture well and apply it on the hair directly. Cover the head with the shower cap. After 1 hour, rinse it off with water. In order to moisturizer rough and dry hair, you can use egg whites. Just simply separate white part of egg and damp it on the hair. Wait for 20 minutes before washing it off. Also, you could add 2 tablespoons of the olive oil or coconut oil in about 3 eggs. Stir it and add 1 tablespoon of honey. Put some drops of lemon juice (optional). When you mix them well, you apply it on your hair as well as scalp and cover it up using a shower cap. After about 30 minutes, you rinse it off with tepid water. Another ingredient you can use to make a homemade mask for your dry hair is yogurt. Just need to beat 2 eggs in a half of cup of full-fat yogurt. Then, add 1 ½ tablespoons of the almond oil into it. Stir the combination well till it becomes creamy. Massage the hair and scalp with the mixture. Cover the head with a soft towel, and after 30 minutes, rinse it off with tepid water. Among natural tips for dry hair, coconut oil is considered as a magical remedy. To make use of coconut oil, just simply massage it onto your hair and scalp. Using your finger tips to massage your scalp will help moisturize your hair naturally. Leave it overnight and rinse it off with water in the next morning. Or, you can take advantage of coconut oil to get the same result. Curry leaves are a good ingredient to add taste to your daily, yet they are also helpful in treating dry hair. They are high in calcium, phosphorous, vitamins and iron which are beneficial for hair health. Heat 2 tablespoons of the coconut oil and then add 5-6 curry leaves into it. Then, heat it for several minutes and let it cool down. After that, apply the solution onto your hair and scalp before wrapping your hair with a towel for about 15 minutes. Fenugreek seeds are among natural cures for dry hair. Thanks to the conditioning properties of fenugreek seeds, they can manage your dry hair. Soak about 50 grams of fenugreek seeds in water for whole night. In the next morning, you crush them to create a good paste. Then, add 4 tablespoons of yogurt to it, followed by several drops of olive oil plus with some honey. Mix them well. Apply the paste on scalp and hair. Use a shower cap to wrap your head and wait for 45 minutes before rinsing it off with shampoo and water. To get more effective results, you should do this routine twice per week. Banana is a natural ingredient hair and skin care because they are high in antioxidants, potassium, and vitamins, making them a beautifying fruit. To make use of bananas for treating your dry hair, you should prepare a banana paste by blending two over ripe bananas and one tablespoon of each coconut oil, olive oil and honey. Then, apply this paste onto your hair for about 15 minutes. Rinse it off with lukewarm water. Alternatively, you could use egg with bananas. Simply grind two over-ripe bananas before adding 2 eggs. After that, beat the mixture appropriately and add several drops of honey to it. Next, apply the mixture on scalp and hair. Wait for 30 minutes and rinse your hair off with shampoo. In reality, we all know that olive oil has many benefits for health, skin and hair. It could be used for massaging the head or as a natural hair pack. What you need to do is to warm a small amount of olive oil. Then, apply it onto your scalp using your finger tips. Massage the hair for several minutes before rinsing it off with shampoo and water. As an alternative, you can combine olive oil and egg yolk. Mix two tablespoons of olive oil into 2 egg yolks. For diluting it, you add the mixture into a half of cup of water. Apply the paste right directly onto your head and wait for 20 minutes or so. Wash the hair with shampoo. Honey is a nourishing remedy for hair. You need to prepare 2 tablespoons of honey, one tablespoon of coconut oil, and 1 tablespoon of yogurt or buttermilk. Mix them well and warm the mixture. Apply the final solution onto your strands before covering the head with a shower cap. After 20 minutes, rinse it off with water. 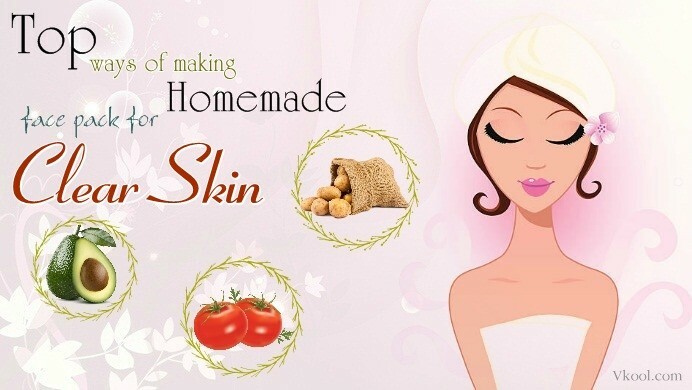 You could also prepare a honey hair mask by mixing a half cup of honey and 3 tablespoons of olive oil. Apply it on your scalp and hair. Wrap the head with a warm towel. Wait for 30 minutes and shampoo the hair. Another one in this list of natural homemade tips for dry hair is avocado. There are many ways to make use of avocado for hair care. You can puree in the inner section of avocado. Then, add 1tablespoon of coconut oil and olive oil plus with ¼ cup of milk in the puree and stir it well. Apply the mixture on your both your hair roots and your hair. Wrap the head using a shower cap and wait for 15 minutes or so. Wash your hair off with tepid water. Alternatively, you can add several drops of peppermint oil in the well mashed avocado paste. After that, apply the paste onto your clean hair and scalp. Wait for 15 minutes or so and rinse off with water. Also, you could use mayonnaise with avocado. Mash the pulp of avocado and add a small amount of mayonnaise into it. After that, massage this good paste onto the hair roots as well as hair. Wait for 20 minutes before shampooing the strands. If you want to get shiny hair, you can heat a little amount of coconut oil for about 10 seconds; massage the hair with that solution. At the same time, you blend the banana and pulp of avocado to create a good paste. Then, after 15 minutes, you rinse it off with cold water and shampoo. Another idea is to prepare a good paste of yogurt and avocado. The combination of the inner part of avocado and yogurt can help you control dry hair. To get the best results, you should apply this mask twice per week. Considered as one of the best conditioner for dry hair, beer is also well-known for maintaining shiny hair and hair growth. Beer, in fact, is enriched with vitamin B and proteins. To use beer for hair health, you cleanse your hair. Spray beer over hair. Wait for 20 minutes. And, use a blow dryer to eliminate the smell of beer. Another way to use beer to condition your hair is to combine it with egg and your favorite essential oil (like olive or jojoba oil). Mix 8 ounces of the dark beer with a few drops of jojoba oil. Apply the mixture onto your hair and then wash it off using tepid water after 15 minutes. The last one in this list of tips for dry hair is black tea. Prepare a cup of black tea by placing the tea bag into one cup of hot water. Pour it onto your hair. Try spreading it evenly over your head. Wait for 30 minutes and wash it off. So, now you have discovered 16 effective homemade natural tips for dry hair which can be done right at your own home with ease. So, make use of one, some or even all of them to replace your dry hair with smoother and silky hair in such all-natural ways.